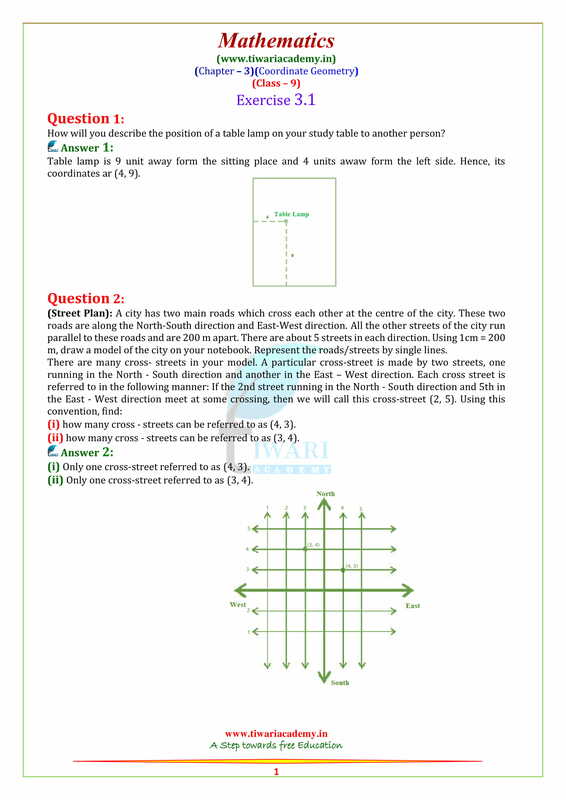 Free download NCERT Solutions for Class 9 Maths Chapter 3 Exercise 3.1, 3.2, 3.3 coordinate geometry in English Medium and Hindi Medium to use online. 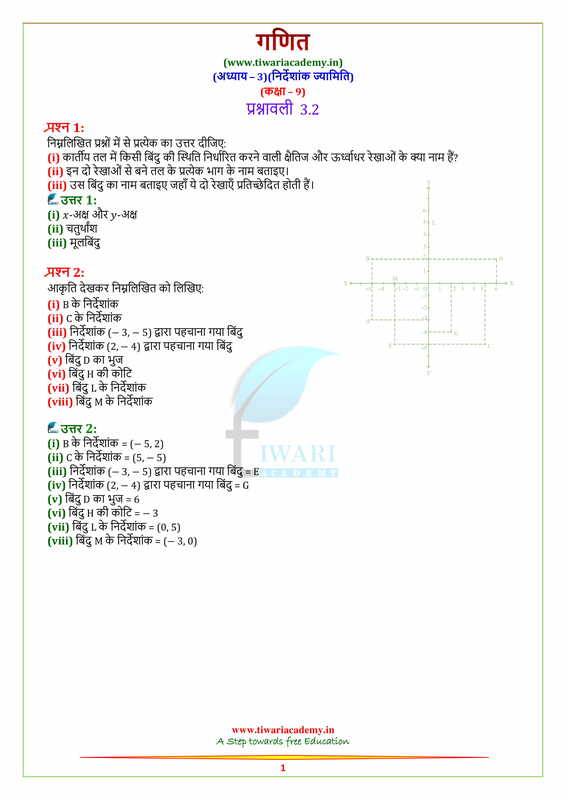 Click here to get PDF of all chapters of Class IX Maths solutions. This page provides only online solutions of chapter 3. In which quadrant do the given points lie. Draw the lines of coordinate axes on the plane of a graph paper and plot the given points: (i) A (3, 5) (ii) B (–7/2, 0), (iii) C (2, –6) (iv) D (–6, –4) (v) E (0, –5/2) (vi) F (8, 0). 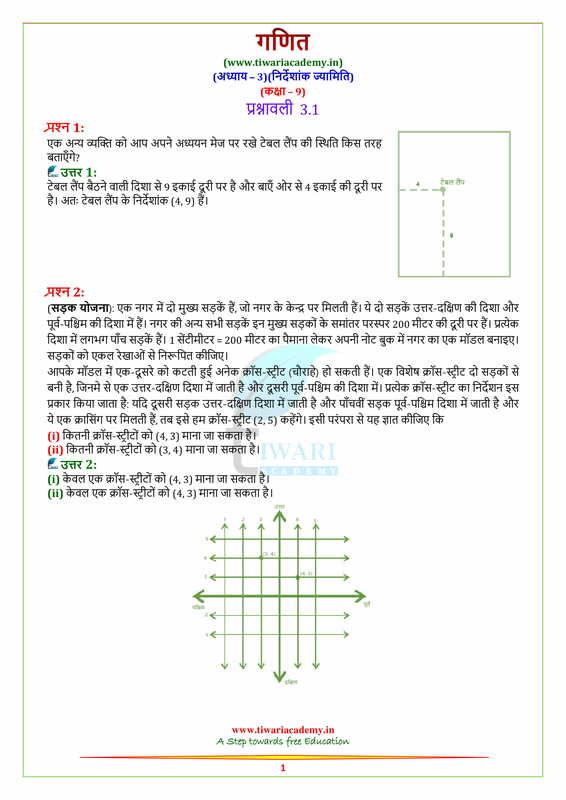 Draw a line segment on a graph paper whose end points lies in first quadrant and third quadrant. 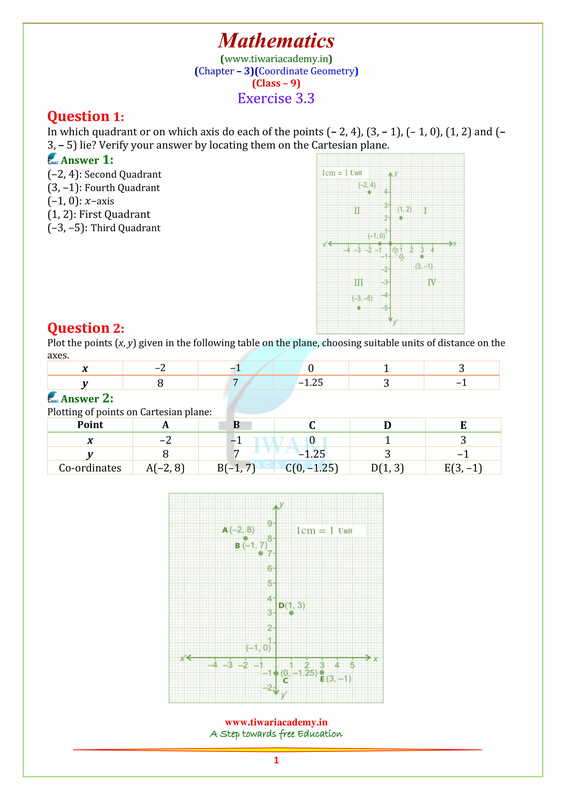 Write the coordinates of its end points and midpoint of line segment. Plot point A(7, 6) and B (7, –6) on graph paper. 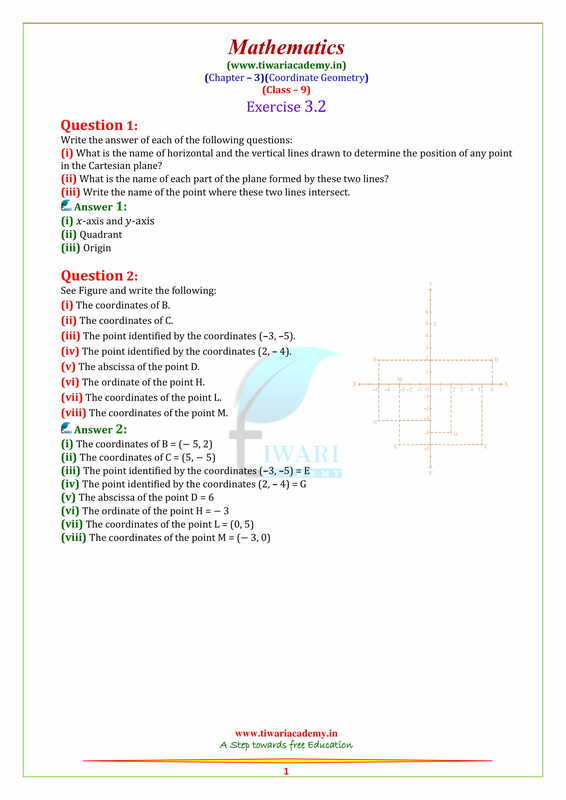 Join the points and answer of the following: (i) It is a line or not. (ii) Write the coordinate of the point where it cuts the x-axis? (iii) If it is a line, then which axis is parallel to this line? A rectangular fields is of length 10 units & breadth 8 units. One of its vertex lie on the origin. The longer side is along x-axis and one of its vertices lie in first quadrant. Find all the vertices. Plot the points B (5, 3), E(5, 1), S (0, 1) and T(0, 3) and answer the following: (i) Join the points and name the figure obtained. (ii) Find the area of figure. (iii) Which mathematical concept has been used in this problem?